TRICARE’s benefits are established by law, and so TRICARE is an entitlement program, and not insurance. Like other entitlement programs, once a potential beneficiary meets eligibility requirements, benefits cannot be denied. Be aware that since TRICARE is an entitlement, dis-enrollment is not possible for active duty military families (for example, to gain access to more Medicaid benefits). Many aspects of TRICARE act like a commercial insurance program: there are program options, some of which are managed care and others with a wider choice of providers. Details on all the programs, eligibility, and costs can be found on TRICARE’s website. To receive TRICARE benefits, all military family members must be registered in Defense Enrollment Eligibility Reporting System (DEERS). Current members of the National Guard/Reserve Forces. Coverage is based on military status; that is, how long on active duty, Activated, Deactivated. For specifics, visit the TRICARE National Guard/Reserve page. Coverage for family members is based on the military status of the service member; visit TRICARE’s Family Members of National Guard and Reserve page. Retired National Guard/Reserve s that have met all commitment requirements and are the minimum age to receive full retirement benefits. Note, dependents are eligible for care once the member has met all requirements to receive retirement benefits. Who Qualifies as a “Family Member”? biological, adopted, and/or stepchildren and/or spouse’s children resident in the sponsor’s home or for whom the sponsor has a legal obligation. Children are covered until age 21, or 23 if enrolled full-time in college and the sponsor is responsible for 50% of their support. Tricare for Young Adults is available for adult children up to age 26. Treatment is provided through either a Military Treatment Facility (MTF) or TRICARE-authorized civilian institution/provider. (MTFs are designated institutions and providers at or nearby a military installation). Treatment locations and providers are dependent on the beneficiary’s service status, plan option and geographic location. When service members who have family members with special needs are considered for assignment, the EFMP program works to ensure that necessary services are available before a family is approved to move. Please see the EFMP and Relocation pages for more information. Active duty service members are automatically and mandatorily enrolled in the TRICARE Prime programs. These are managed care programs in which Military Treatment Facilities (MTFs) are the preferred source of care. Because MTFs are geographically limited to locations on or near an installation, there is the Prime Remote program for active duty service members and their families who are not working or living within 50 miles of an MTF. Case Management is offered to beneficiaries who have significant chronic or high-risk health issues. Beneficiaries with catastrophic or terminal illnesses may also qualify for case management. Referral is through the family’s medical provider or they can contact their regional contractor. Mental Health Care: The TRICARE website gives a fairly comprehensive explanation of covered conditions and available benefits. For Prime beneficiaries trying to access care through a MTF, available services may be limited. This is because active duty members receive priority for treatment at these facilities. Encourage parents to contact their regional contractor when they have questions about coverage, treatments, and limits. The only non-emergency outpatient mental health care needing prior authorization and referral is psychoanalysis and substance abuse disorder treatment. Family members may self-refer for all other care. Emergency care is always available and requires no referral or prior authorization. Hospice Care: TRICARE covers most hospice care costs and TRICARE does not have limits on custodial care or personal comfort items under hospice rules. Extended Care Health Option (ECHO): supplements basic TRICARE coverage. ECHO provides certain services and supplies to qualified active duty family members (including eligible family members of activated National Guard or reserve). ECHO includes a home health care benefit for certain qualified beneficiaries. Autism Care Demonstration: covers applied behavior analysis (ABA) for all active-duty family TRICARE beneficiaries diagnosed with autism spectrum disorder. It’s a pilot program designed to provide wider access to ABA services. The demonstration program is open to family members of Reserve, National Guard, and Retirees as well. It’s only available in the United States and District of Columbia, but TRICARE covers some ABA services overseas. It began July 25, 2014 and will end December 31, 2023. 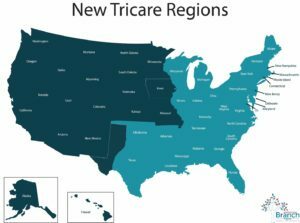 TRICARE is administered by three separate regional contractors, two in the United States and one overseas. Contact information for each regional contractor is available on TRICARE’s Partners page. 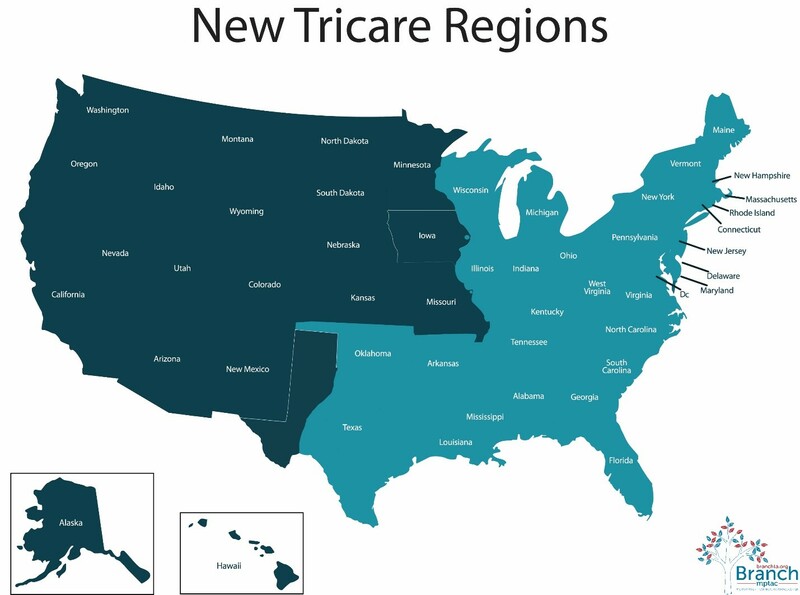 Prior to late 2017, TRICARE had 4 regions; information about the shift to three regions (along with all other updates) is available on TRICARE’s Changes page.